The name David Olney won’t be unfamiliar to long-term readers of AUK or fans of the Americana genre itself as the man himself has been somewhat of a staple on the scene for just over 30 years, steadily and frequently releasing quality under his own name or with certain collaborators and his name has become synonymous with a high standard of songwriting in terms of both musicianship and lyricism. His newest release, ‘This Side or The Other’ is certainly no exception to that rule and it’s evident that Olney has plenty to write about. The album opens with the very traditional sounding track ‘Always The Stranger’ and is a great introduction to this 10 song album, with a straightforward country sound – Olney’s vocals, and more importantly, his lyrics, at the forefront. The lyrics throughout the album focus largely on character-based observations telling a story and trying to channel the emotions felt by others in different situations, and – while not a concept album per se – throughout the record a recurring theme is the idea of walls (implied by the title of the collection) and how they are used to both keep people out, keep people in and what we keep behind our own personal walls, which is an interesting concept in its own right. ‘Wall’ is a moody, soulful song and uses walls as a direct metaphor whilst tracks such as ‘Border Town’, a Spanish guitar-led ballad and ‘Death Will Not Divide Us’ are analogies of those aspects of the human condition which divides us as individuals. The former speaks of the isolating nature of immigration and is another concept found in a number of songs throughout the record which links thematically with the aforementioned lyrical focus. ‘Stand Tall’ is a song 25 years in the making, seeing Olney at his most vulnerable and intimate, accompanied with just minimal guitar work, again highlighting his facility as a wordsmith and his talent for social observation. It feels like a really special moment on an already brilliant record whereas the eponymously titled collaboration with Annie McCue and John Hadley takes more of the same and expands to become a musically rich tapestry with layered instrumentation and stunning harmonies. 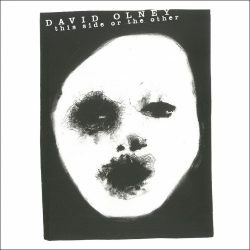 Both of these tracks are a testament to the versatility of David Olney’s sound and how he can vocalise his thoughts and observations within different song dynamics, while still crafting fantastic melodies within those songs. Overall, the album is a deep-dive into the mind of a man with incredible wisdom and an undeniable talent for both personal and social observations which are carefully crafted to send both a message and provoke thought within the listener. Therefore, it doesn’t come as a surprise that Olney has managed to maintain such a long and healthy career when he is still releasing quality records such as this one.